"Macho man"? It's a story that deals with nature at its most extreme and the results of not taking it seriously. If it's about a macho man, it's about the stupidity of that sort of thinking/behavior. In short, "To Build a Fire" is one of the greatest short stories ever written. London does a fantastic job of building tension--the man has to get a fire started--and yet there's the growing fear that he might fail. The prose is spare, clean, direct. No wasted words. "It is kind of a "macho man" type of story one often finds in American journalists turned literary." Ah sir, I fear that you fail to do it justice with that dismissive comment. I remember reading this in an anthology. The Sea-Wolf is also a great "macho" novel. Jack L. is one of those writers you love, or don't. I'm in the latter camp. Just not my favorite subject matter. 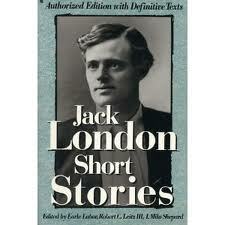 read some London years ago & didn't really get him, have not tried since. One thing I remember about this story is how it showed so clearly the dangers of nature. Vividly the many ways that the man could die and how crucial that fire was.